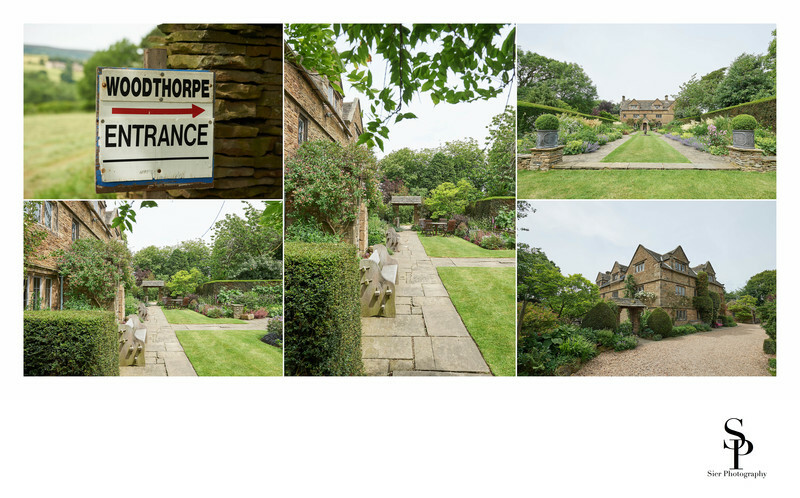 This is a wedding photography album page produced from photographs take at a wedding reception at Woodthorpe Hall, a stunning 17th century hall in Holmesfield near Dronfield in North East Derbyshire. We were really blown away by this place, stunning doesn't really do it justice, it has to be seen to be believed, hard to imagine somewhere like this is so close to Sheffield but be relatively unknown. The wedding reception took place following a wedding ceremony at the JG Graves Woodland Discovery centre in Ecclesall Woods on the outskirts of Sheffield. The wedding reception took place in a marquee in the stunning two and a half acre grounds of the hall. This allows for a sort of outdoor feel to the wedding which is different to the usual hotel receptions that dominate. Woodthorpe Hall books up very quickly and is restricted to the number of events they hold each year so it is well worth getting in touch at the first opportunity to avoid disappointment. We really hope to have the opportunity to work here again as it provides us with somewhere new and exciting to photograph and we don't think that one wedding here was anywhere enough to fully explore the venue and its surroundings.